In RF front-ends the diagram shows an antenna followed by a band-pass filter. I am also working on a project involving a micro-strip patch antenna followed by a dual-band band-pass microwave filter. The antenna resonates at a particular frequency and the received energy is transferred to a filter which further passes only required frequencies which seems to be redundant. Why not just design an antenna with the required frequency response to avoid designing a separate filter after the antenna? 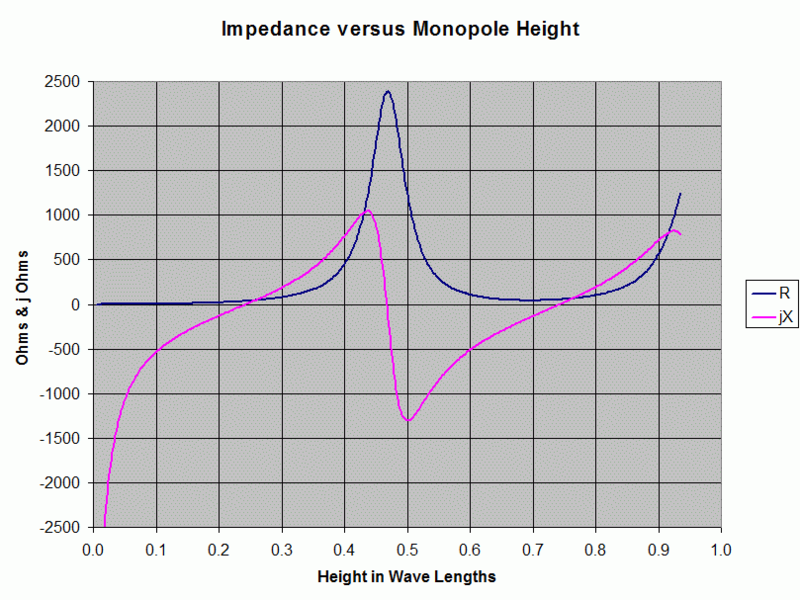 A whip (monopole) antenna (for example) produces an optimum output level for frequencies that are close to one-quarter wavelength. It will also produce a decent output level for frequencies surrounding that optimum frequency and the "spread" of those frequencies from "centre" can be considerable and be much wider than the nominal transmit channel spacing for the band that you are interested in. You should be able to see that at 0.25\$\lambda\$ the reactive impedance falls to zero (tuned) and ditto at 0.75\$\lambda\$. That projected impedance may or may not significantly interact with your actual circuit interface to produce a wealth of unwanted "good reception" areas versus wavelength. So, given the nature of most radio bands and the extent of interferers, you usually need tight control by using electronic/electrical filters. Your assumption seems to be that filtering only one time is enough. How much filtering outside your band of interest is needed? If there are strong signals present at frequencies you do not want, you might want to suppress these as much as possible before they end up (with too much power) in your receiver. What is the quality factor of your antenna, it might not filter as well as a dedicated filter. In some situations you might even want an antenna that is quite broadband, so receives much more than you want and then filter out the band of your interest with a filter. Why would you want a broadband antenna? It might be that the antenna is influenced by its surroundings. For example in a mobile phone, there's the "hand effect" which means the antenna is de-tuned when a (human) hand is nearby, holding the phone. You would still want the antenna to receive the signals so it should not be de-tuned too much by the presence of a hand. Not the answer you're looking for? Browse other questions tagged filter antenna microwave pcb-antenna microstrip or ask your own question. Pass DC through (passive) highpass filter? Is there any dynamic antenna for varying frequencies in 1 GHz to 10 GHz?